After a great feature debut with “Heart Attack”, Nawapol Thamrongrattanarit has turned towards the documentary with equal success, with the “unusual” “Die Tomorrow” winning the Grand Prix at Five Flavours Film Festival. “BNK48” is rather different in style, as it deals with the concept of idols and its export to Thailand from Japan, but again, an impressive effort. AKB48 has been a cultural phenomenon in Japan since the beginning of the decade, and currently, is among the highest-earning musical performers in Japan. BNK48 is their Thai sister group and the third international sister group, following Indonesia’s JKT48 and China’s SNH48. Thamrongrattanarit, through interviews with a number of the members, highlights the procedure of selection, the thoughts and feelings of the girls, explaining in the process, why such a concept is so popular. Initially, and for most of the duration of the documentary, the “confessions” are scary to the point of shocking. The girls (aged from 12-22) sketch a picture of extreme antagonism even among friends, as the basic line-up, called the Senbatsu, changes quite frequently, and according to the performances of the girls, who feel the need to improve constantly. This improvement, however, has more to do with the popularity on social media rather than their hard work or their talent, in a rather harsh testament to the superficiality of the world of entertainment (to say the least), where image seems to be everything. Even scarier is the fact that their eagerness to succeed and their subsequent fear of failing, makes them endure all that pressure and rules (no boyfriends allowed for example) and even going to extremes to achieve just that, which, in this case, even includes changing their personality in order to be more appealing to the fans. Thamrongrattanarit seems perplexed, shocked and even appalled at the things he hears in the beginning, but as time passes, he seems to enjoy the interaction with the girls, with the same actually occurring to the spectator of the documentary, as their personalities actually rise above the whole concept of the AKB48. In that fashion, and despite the fact that the inhumane conditions of the whole concept of the idol group are quite eloquently presented, he succeeds in also highlighting the individuality of the girls, who prove to be much more than just members of a group. 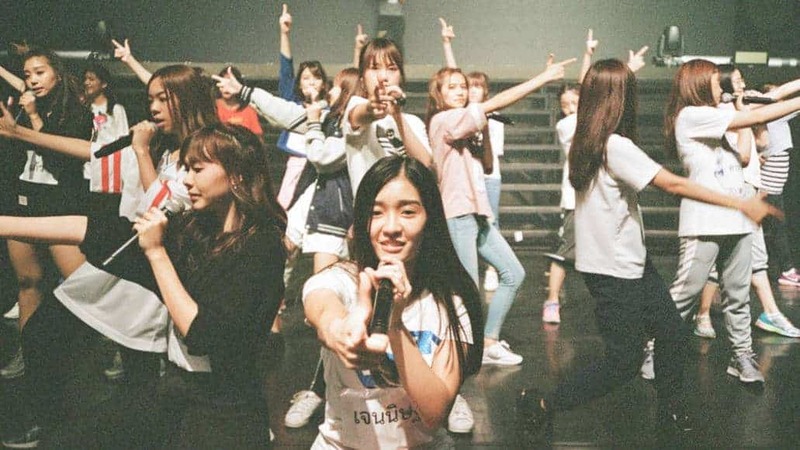 The minimalism of the interviews works quite well in contrast with the maximalism of the actual footage of the concerts and the various appearances of the group, while the path to success BNK48 experiences at the moment is also highlighted. In that fashion, the work done in the editing by Thamrongrattanarit himself is excellent, with the interviews functioning as the main theme and the various footage interrupting the one-on-one discussions at the most crucial moments, giving fitting images to the “confessions” of the girls. The result comment is rather complex and ambiguous, since the director seems to state that we live in a world where image and popularity is everything and actual “substance” means very little, but at the same time seems to “excuse” the advocates of this concept, as victims of their environment. No matter what anyone thinks about the whole concept, though, the fact remains that “BNK48” is a thorough and quite entertaining documentary, and a must-watch for anyone in interested in the analysis of cultural/social phenomenon.